First up, $24 gets you a three-pack of standard PowerLine cables in three different lengths, including an extra-long 10-foot cable that’d be great for using on the couch. That price is about $6 less than this pack usually goes for. Anker’s new PowerDrive 2 Elite can output 12W on both ports simultaneously, and it looks really nice to boot. Use promo code BEST2212 at checkout to save $4. When it comes to getting a good night’s sleep, it really starts with the pillow. You’ve probably had yours way too long and it’s time to replace that sucker. Amazon’s Gold Box is (down alternative) filled with highly rated Essence Of Bamboo pillows with multiple fill options for less than $20 per pillow. Just don’t sleep on this deal, because it’s gone at the end of the day. Yi, manufacturer of your favorite affordable action cam, also makes a home IP security camera, and you can pick it up for just $35 today, or $5 less than usual. The Yi Home Camera includes all the basic features you’d expect, including two-way audio, automatic activity alerts to your phone, and remote monitoring. And unlike other companies that rely on cloud storage and monthly fees, the Yi stores your files on an onboard microSD card, no membership required. That means it’s less than ideal for home burglary situations, but perfectly adequate for saying hi to your dog while you’re at work. Some people can’t live without their coffee, but for me, it’s fizzy water. While supplies last, you can get a SodaStream Source from Amazon for $69 (after you clip the $15 coupon), complete with a small starter CO2 canister, and a mail-in rebate for a free full-sized starter canister. If you regularly buy soda or carbonated water at the store, it’ll pay for itself. Amazon is marking down a bunch of styles of solar-powered Casio watches, today only. With styles that are water resistant up to 200M and powered by solar energy, there’s basically a timepiece for everyone, at up to 60 percent off. The best part? All of the styles are under $25. 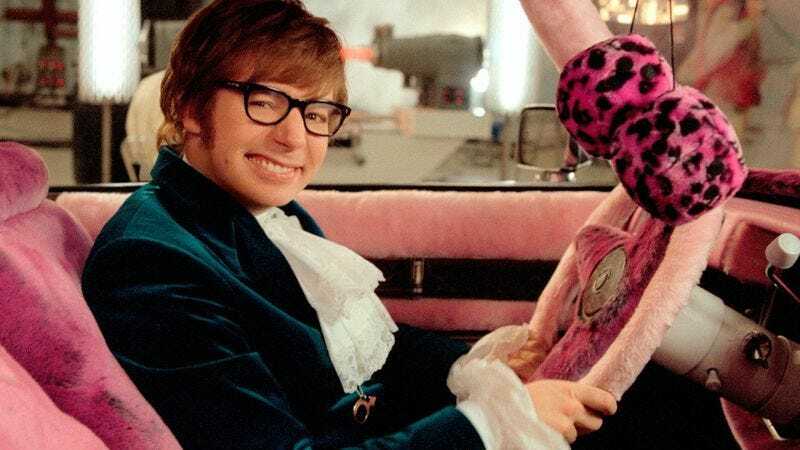 I read this oral history of Austin Powers last night, and it really made me want to rewatch the movie. Lo and behold, the entire trilogy is just $10 on Blu-ray today. As an aside, how has it been 20 years?! PS4 owners can book their ticket back to Skyrim for $25 today, complete with all of its DLC, remastered graphics, and even mods. That’s a match for the game’s Black Friday price, which hasn’t been beaten. Xbox One owners will need to pay $5 more, though $30’s still a solid price. $10 is cheaper than a lot of standard sized mouse pads, but today, that gets you a massive 3-foot wide model that can accommodate your keyboard as well. Just be sure to use promo code QB7PIIJU at checkout to save $6.